“Media Fun Day” and “All About Advertising” are specialized media incursion production programs for grade 5 & 6 students. Each program has 3 activities that all students will rotate through during the incursion day. Each program requires a small amount of preparation which gives the students a greater sense of ownership of the product they make. The other program is a full day “Film Making Workshop”. These hands-on workshops will have your students producing professional looking films in no time! Green Screen Studio Students perform in front of the Green Screen, while pre-recorded backgrounds are superimposed live for the rest of the class to see. The TV show is called THE WONDERFUL WORLD OF TV. Segments include The Early Years of TV in Australia, Name that Show, The Great TV Debate, Amazing TV Facts and much more. You also have the option of doing the TV Variety Show from Exploring the Media. This has segments on News, Sport, Weather, street reports, interviews, advertisements, etc. Either way, they’re both great fun. Talkback Style Radio Show. 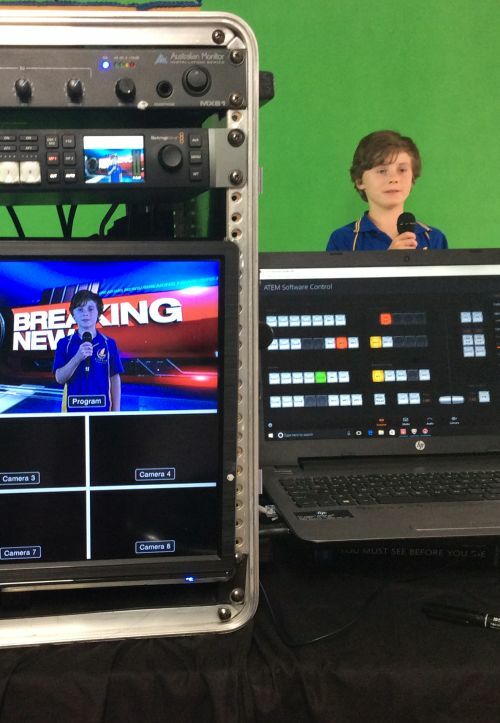 All students will participate in a talk show which incorporates news, interviews, games, caller comments and music. Stop Frame Animation All students produce their own animation using a variety of styles. Green Screen TV Shows Each child will have a part in a green screen TV show that focuses on issues and techniques used by TV advertisers to attract people to buy their products. All part are pre-written. All you need to do is give students their scripts to practice reading. Radio Show. 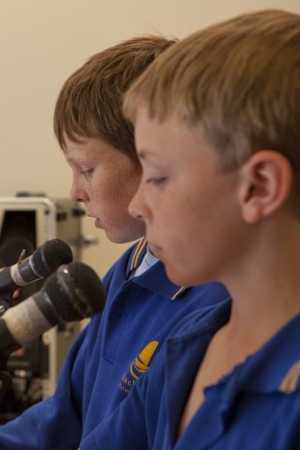 Each child will have a role in a radio show that we will record on the incursion day. Students will be guided to write a short advertisement in a predetermined style. The show will cover areas such as placements ads, selling techniques, infomercials, demographics, sponsorship, endorsements, gimmicks. etc. Stop Motion Animation Students will produce a 20 second animated advertisement. They will be provided with a pre-prepared 20 second storyboard where they can plot out their ad second by second. A sample DVD will give them ideas. 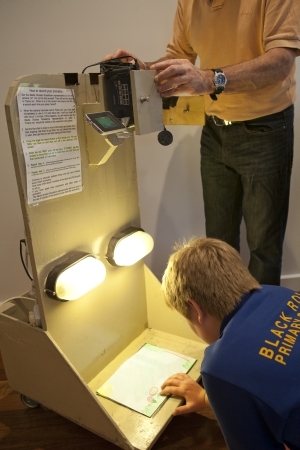 These programs are specifically designed to get grade 5 & 6 students making narrative films on ipads and video cameras. All sessions will involve practical demonstrations incorporating numerous basic production techniques. Students will observe the whole production process on a large TV via a video cable connected to the camera we use to film the demonstrations. Explanations are given by Michael as each shot is constructed. Students will work with their teachers throughout the day to complete a series of skill building activities. We guarantee that both teachers and students alike will be left feeling empowered, confident and ready to get started on their first project.